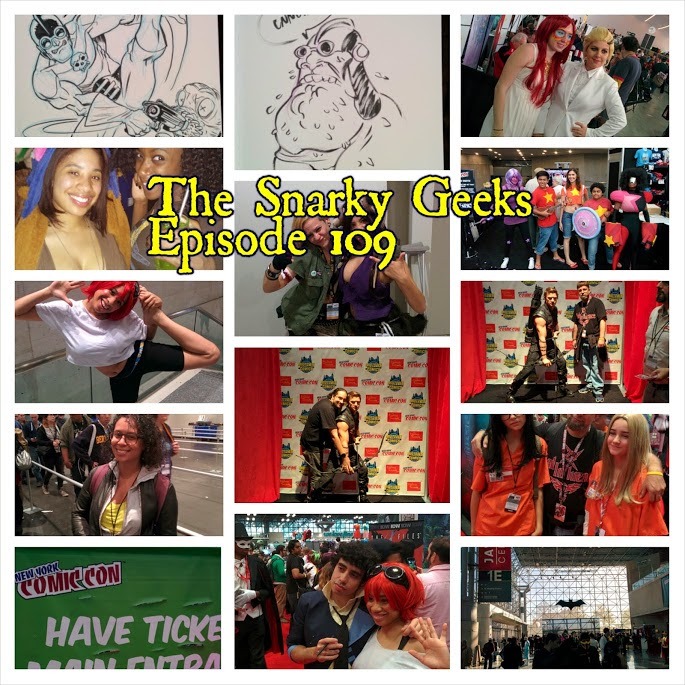 Snarky Geeks Episode 109 - ...Robot Vaginas! All the Snarks gather to reminisce about their NYCC experiences finally! the Journey, The Hotel, The Club, The After Party, The Dancing, The Cosplay, Awkward moments with DMC, vomiting, Drunkeness, Debauchery, Comradery, Somewhere in between they fit a talk about blackface and cosplay, and some talk on the Avengers: Age of Ultron trailer. and much more in this extra long episode! , ... You really have to listen to the whole show!